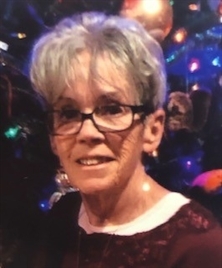 Carol Ann Hatfield, 72, a resident of Glendale, passed away on Thursday, January 24, 2019 following an extended illness. Born August 23, 1946 in Cincinnati to the late William and Dorothy Macintyre. 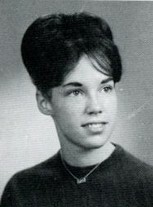 In addition to her parents she was preceded in death by two children, Kelly and Nick Hatfield; sister, Diana Lawrence. Ms. Hatfield enjoyed gardening, playing Bridge, and loved spending time with her family especially with her grandchildren. She was an active member of First Presbyterian Church of Glendale. She was a member of The Garden Club. Carol enjoyed traveling and going to the beach. She had a heart of gold and would go out of her way to ensure her family was always happy and loved. Those left to cherish her memory include previous husband, Charlie Hatfield; daughter, Allison Christman (Joe); grandchildren, Alayna Hatfield, Connor Christman, Leah Hatfield, Maddie Christman, Mallory Christman; her “fur babies” Monty and Lelo; special friends in groups often named “The Hartwell Gang” and “The Four Seasons”; and a host of nieces and nephews. Services will be conducted at 2pm on Sunday, January 27, 2019 at the Spring Grove Funeral Home-Tri County with Rev. Jeffery Lang officiating. Interment will follow at Oak Hill Cemetery. Visitation will be held from 12-2pm on Sunday also at the funeral home. In lieu of flowers donations may be sent to St. Joseph Home of Cincinnati, 10722 Wyscarver Road, Cincinnati, OH 45241. Arrangements by Spring Grove Funeral Home-Tri County, . Click to go to web site. Carol Ann Hatfield (nee Macintyre), 72, passed away on Thursday, January 24, 2019. 2pm Sunday, Jan. 27 at Spring Grove Funeral Home-Tri County (11285 Princeton Pike). Friends may gather from 12-2pm. Interment to follow at Oak Hill Cemetery.